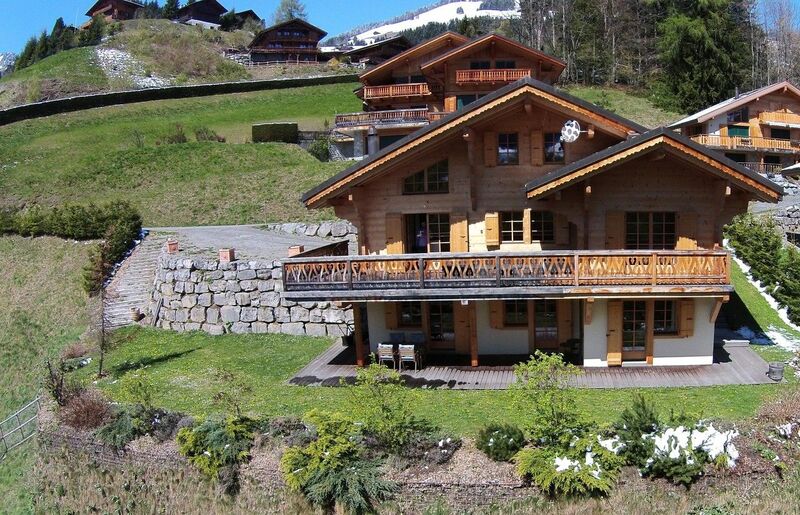 Champéry - Avanthay Immobilier - Magnificent chalet of 6.5 rooms builds in 2009 which overhangs the village of Champéry since Montau d'en Haut. Its orientation confers him an optimal period of sunshine and its panorama is exceptional. This property of charm offers all the modern comfort. The finishes and the chosen materials respect the architecture of mountain while strengthening its stamp. 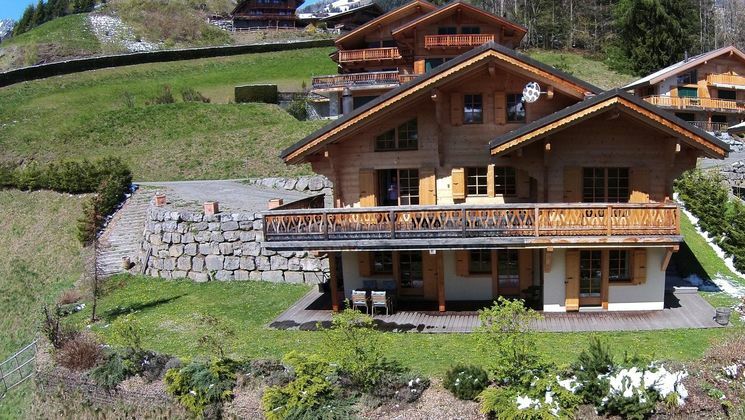 Champéry - Avanthay Immobilier - Located 90 minutes away from Geneva, Champéry, typically Swiss village with preserved architecture, is set up in the middle of Les Portes du Soleil, biggest ski resort of Europe linked between Switzerland and France. With its 650 km of ski slopes, a few 200 lifts and 90 mountain restaurants, this marvelous ski area will delight the persons who are keen on winter sports and mountain bike in summer. With the Dents-du-Midi mountain range, the seven spectacular summits being more than 3000 m at its highest point, Champéry combines charm and authenticity through its ancient chalets running along the picturesque street of the lively village with its shops and places aimed at gastronomy. Its direct proximity to the thermal cure center of Val d’Illiez, place of relaxation thanks to its new spa, gives it a certain asset. Only 30 km away from Montreux, Champéry is the closest ski resort of the Valais’s Alps to Swiss Riviera and Geneva’s lake with beautiful hotels, renowned private hospitals, as well as the very famous Jazz Festival. Champéry represents the future for a prestigious clientele who is always looking for more discretion. Entrance with closets - 1 ski room - 1 ordered kitchen opened with bar - 1 meat safe - dining area with fireplace - 1 room - 1 shower-room with shower, washbasin and toilets. Magnificent terrace about 50 m2 and aa covered space for cars.